Well it’s that time again. Back to school! The first full weekend of August the state of Iowa does a tax free weekend on all clothes and shoes [as long as the item is 100$ or less]. So at the same time we do our back to school sale. This year is no different. So here are all the details and for the record when we say “soft goods” that means clothes and shoes. Buy one soft good at regular price you get the next soft good 20% off and you also save tax on both. We have the 40% off rack full and a 50% off tee rack full. Sale floor shoes are 40% off for one pair or if you buy 2 then each one is 50% off. Plus you don’t pay tax. Free Emerica video Made when you buy any pair of Emerica shoes at regular price. Free Vans video Propeller when you buy any pair of Skate Pros at regular price. We will refill all the sale racks and sale floor shoes at the end of each day. That means it may be worth your wild to make a couple stops down. 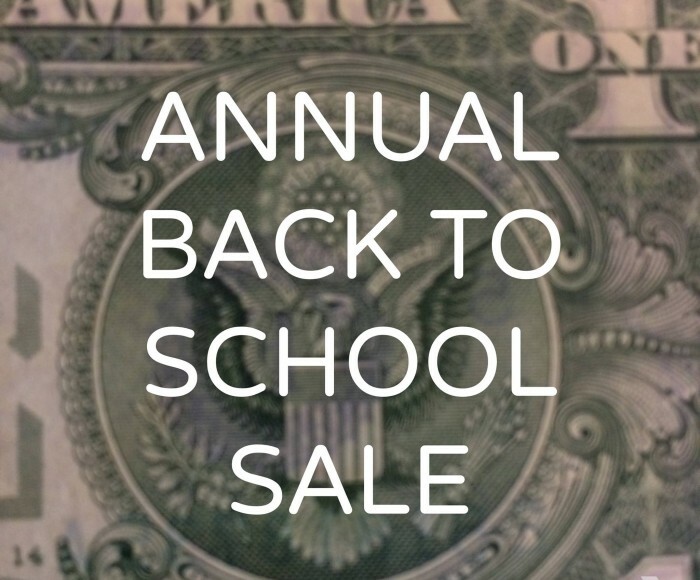 Remember you don’t have to be going back to school to enjoy saving money and getting cool stuff. The tax free days are only Friday and Saturday. We will still be having the sale on Sunday, but you will pay tax.